New Home Inspection Requirements Start Soon. Less than thirty days from now, all homes built or undergoing a major remodeling project in the state of Texas will be subject to new inspection requirements. The new home inspection requirements will require a minimum of three inspections for all homes built or remodeled in unincorporated areas or in cities that do not offer municipal inspections. The Texas Residential Construction Commission has enacted the mandatory reviews. All projects started after September 1, 2008 will be subject to the new requirements. The foundation inspection must be conducted prior to the placement of concrete. The framing and mechanical systems inspection must be conducted prior to the placement of exterior wall insulation or interior wall coverings. The final inspection when the home is complete. The inspections will have to be completed by a licensed engineer, a registered architect, a professional Texas Real Estate Commission inspector or a third-party inspector certified by the Texas Residential Construction Commission. There will be fines levied against builders and re-modelers that fail to have their projects inspected. The Texas Residential Construction Commission has put together a list of Most Frequently Asked Questions about the program. They have also added Contracted Inspections Instructions. What does the Foundation inspection look for? What does the Framing, Mechanical inspection look for? What does the final inspection certify? This is not a complete list of everything the inspections cover. The inspector must also verify the project meets the applicable building code. You might hear some rumbling and grumbling from the contractors you know but the program is designed for the good of the consumer - you and me. Three inspections is really very minimal to require for a residential structure. The home builder I worked for required ten inspections before they would deliver a completed home to a new home owner. Does it make you wonder what was required before the new program? Two inspections or maybe just one inspection to deliver a home. At least now the Texas Residential Construction Commission has stepped up the requirements to protect home owners. 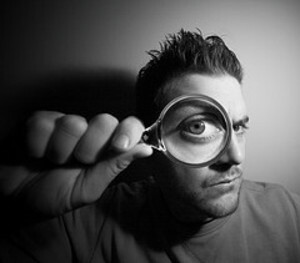 All homes built or remodeled must be inspected three times. Starting soon! Not All Hardwood Floors Are Created Equal. Hardwood flooring is a popular choice for many Southeast Texas homeowners. Here's 5 things you need to consider before installing a hardwood floor in your home. 1. How much money to you want to spend? 2. Do you want to install it yourself or hire a professional flooring company? 3. How long do you want your new wood floor to last? 4. What is your sub-floor construction? Will the wood flooring overlay concrete or plywood? 5. What is the flooring environment? What will the floor have to withstand. Pets, children, high traffic, humidity, dirt, etc. Here's 3 types of wood flooring to consider. Here's the pro's and con's of each type. pro= thickness available from 5 1/16" to 3/4"
Here's 3 great reference websites to check out. Here's 3 Southeast Texas Companies that install hard wood floors. 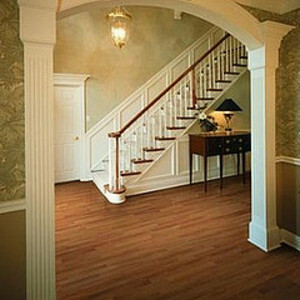 Beaumont Flooring Directory provides names and numbers of several local flooring companies. If you are one of the Southeast Texans who wants the natural look and aesthetic appeal of a hardwood floor, before you spend your hard earned money, just remember not all hardwood floors are created equal.